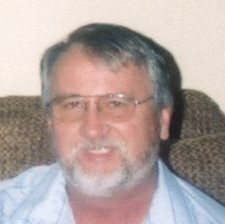 Larry R. Johnson, 65 of Danville, passed away September 4, 2018. Born March 20, 1953 in Terre Haute, he is the son of Betty Thompson and the late Robert Johnson. He married Nina J. Boone on December 7, 1979 in Las Vegas, Nevada. Larry started his career at American Freight and retired from Federal Express as a transport driver. He was an avid golfer, loved racing and enjoyed woodworking. He attended Bridgeport Central Baptist Church. Survivors include his wife, Nina Johnson of Danville; daughter, Laura J. (Kipp) Glenn of Indianapolis; sons, Ron (Carolyn) Cochran of Indianapolis, Rex Cochran of Danville, Steve (Dawn) Cochran of Indianapolis; mother, Betty Johnson of Terre Haute; brother, Tom (Charlene) Johnson of Terre Haute; sisters, Renee (Mike) McCarty of Terre Haute, Beverly (Ed) Long of Indianapolis; grandchildren, Jordan, Hannah, Rex, Jr., Steven, Jr., Savanah, Isabelle, Josiah, Malachi, Naiman and two (2) great grandchildren. Services will be at 3:00 pm on Saturday, September 8, 2018 in Baker Funeral Home, Danville, with visitation from 12:00 noon until the service time. Contributions may be made to the Indiana Parkinson Foundation 14350 Mundy Drive #800 Noblesville, IN 46060.